Welcome to a brand new post! I was invited to the Emmerdale Studio Experience a while ago and I thought it would be time to tell you all about it. 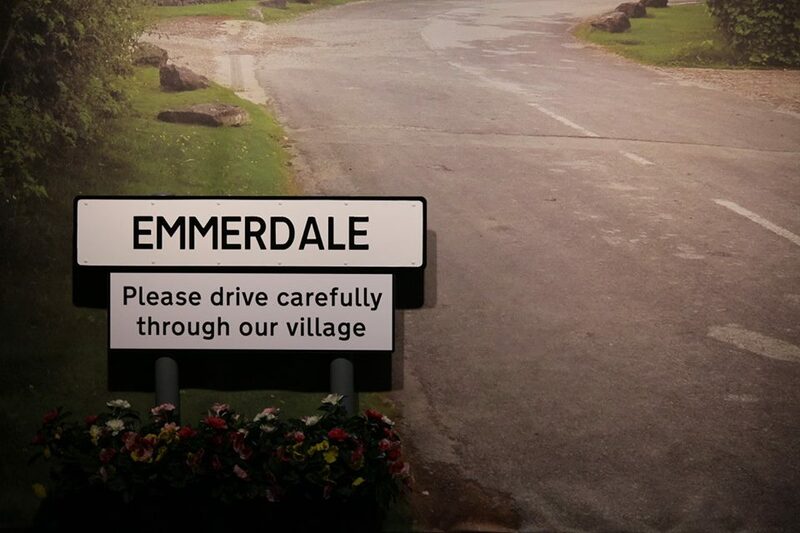 Experience the drama at the former ITV studios at 27 Burley Road, as we take you on a guided journey into the world of Emmerdale. We arrived at the studios which is located inside the Burley Road studios which are on the outskirts of Leeds City Centre. We entered the studios and was greeted by the PR team. Once we had a little chat with them, we were taken to the Cafe area and was asked if we would like to sit down and have a drink whilst some of the other bloggers that were invited arrived. Myself and Luke went for a lovely cold Apple Juice whereas the marvellous Michelle went for a cold Orange Juice. After the Cinema Room, we made our way to the Writer’s Room, which is where all of the story-lines within the amazing show that is Emmerdale begin. 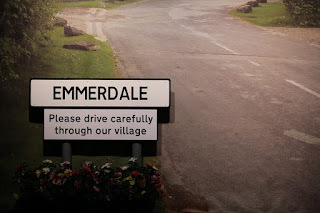 We were told that because Emmerdale is now on five times a week, that the staff at Emmerdale need a team of around twenty eight writers working on a storyline at any one time. 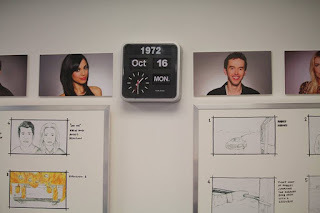 We were then told how a story is actually made, including that they first plan and write out a brief description of the story, then they convert into a storyboard (where every shot has a little drawing to show whats going on with descriptions of things such as lighting, music etc. ),which is drawn out by an illustrator. 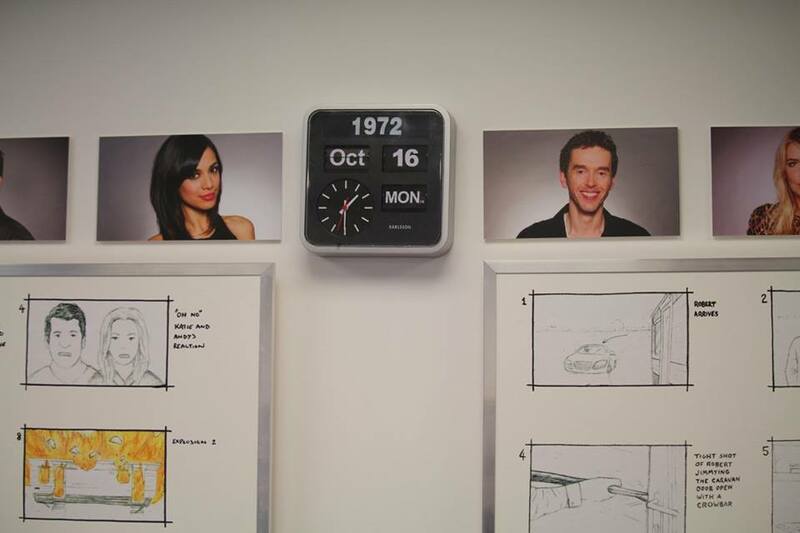 We were then shown a few of the schedules that were hung on the walls which showed when which storyline would happen, and who would be taking part in it, but sadly there weren’t any spoilers as these were schedules from a long while ago. Next up was the Costume Department! This room holds a lot of the costumes that have been used on the show which is pretty obvious as its the Costume Room. We were allowed to look at and touch a few of them but a lot of them such as Annie Sugden’s original Pinny were cornered off or behind glass. 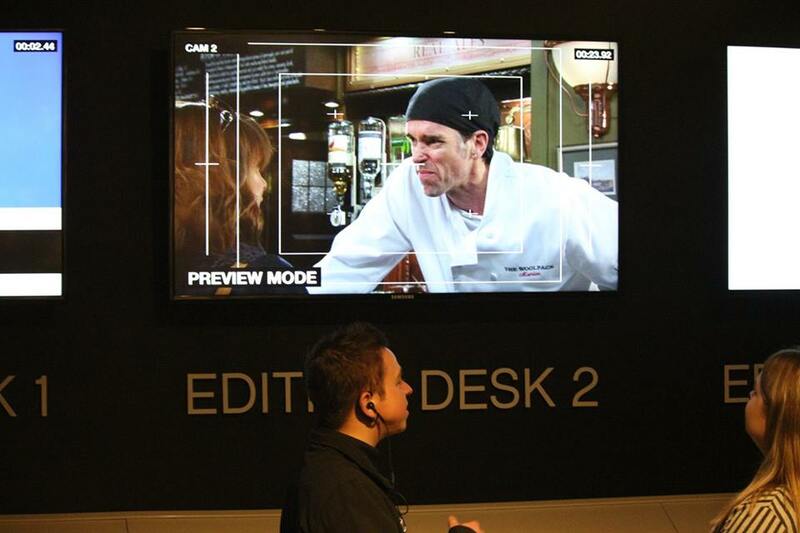 We were also shown a couple of digital tablets which help them to ensure that the same outfits are worn on different days of filming to create equilibrium (normality) when a scene might require more than one day of shooting. We were also let into a little secret on how they age some of the outfits including that they run a car over jackets that are worn on set to make them look old and worn in and not brand new. The Makeup Studio was next on the list! We were shown how they achieve some of the special effects like wounds and blood on characters when they've been in scenes that have required the makeup. After a little trip to the Makeup Studio, we made our way to Props Department. We were shown everything from street and court signs, to some of the faux food from David’s shop, and even some of the framed pictures that they use in the house scenes. 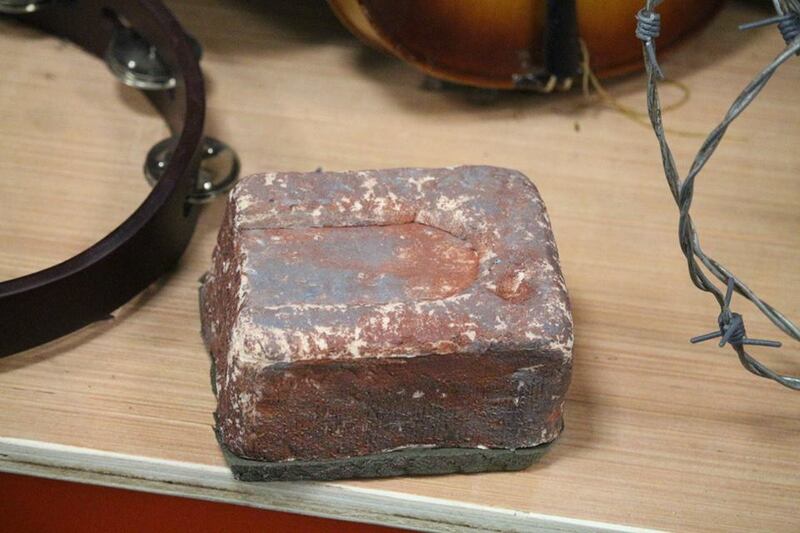 We even got to hold the brick that Cameron used to kill Carl with which was very light as it’s actually made from Polystyrene. 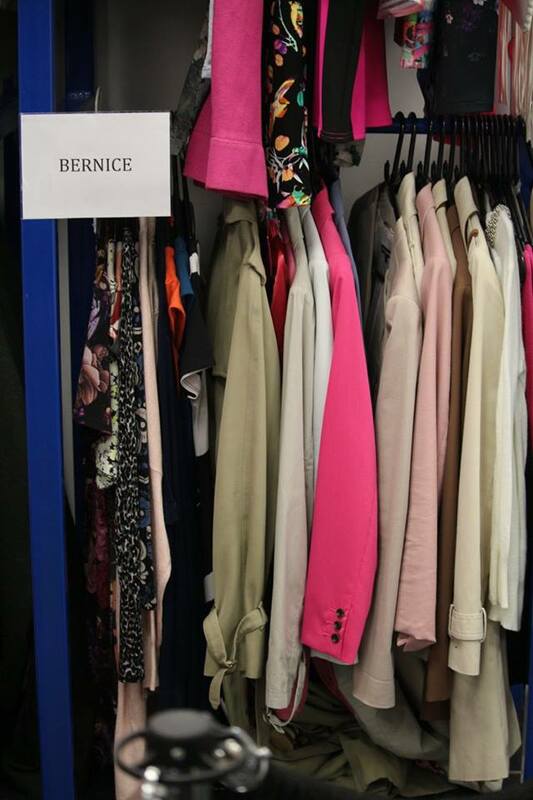 We then moved onto seeing a few of the sets and although most of the filming is done in their Studios down the road, they had meticulously recreated some of the sets for the Studio Experience.The first set we saw was Bernice’s Beauty Parlour, and as well as being told that they actually use a lot of real beauty products. We were also allowed to have a try of some of the tablets that control the lighting, and were set a challenge to see if we could get it right as they need to make it look as if natural light is coming through the fake windows for this particular set. 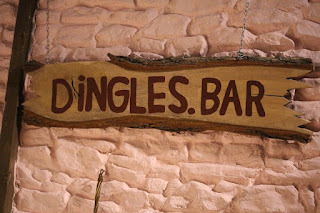 After visiting the infamous Beauty Parlour, we made our way to The Dingles’ Living Room. We were told that they make furniture and rooms look old by adding dust and dirt to them,. We were also shown how they film from different angles to best capture the expressions and reactions of the characters. 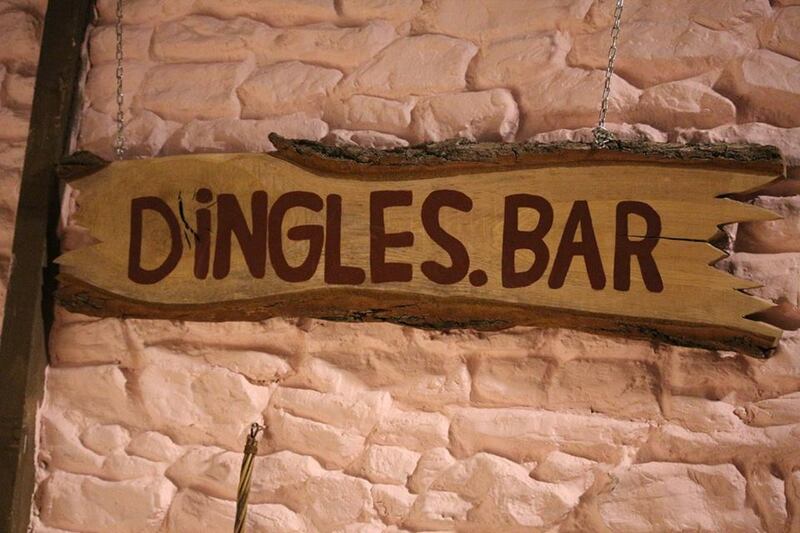 After visiting the Dingles, we made our way to the Editing Suite. We were told about how all the footage is edited to ensure that you’re always shown the most important parts whether that’s a person delivering an important line or a characters reaction. We then moved onto a room that contained a model miniature version of the village, and were told that it’s used when they need to film some scenes from above, and that they all contain realistic details including windows, brickwork, and even gardens. After this, we made our way to another Cinema Room. We were shown a video about how important Weather is to the show and how they use it to create drama. We were also told that they often have to battle the elements as they film six weeks in advance. Whilst we were watching the video, dry Ice and smoke started making it's way across the floor and filling up the room and then right at the end of the video two massive fans went off to mimic the great storms that can happen on the show. 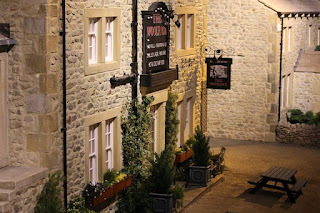 We then finished everything off with a visit to The Woolpack. We were served some drinks and nibbles like mini Bangers and Mash and cones of Fish and Chips which were delicious.We then just sat, chatted, and sipped our drinks before we decided that it was time to head off. We went to the gift shop to pick up our pictures that were shot throughout the night, said thank you and goodbyeto all of the amazing staff, and headed off back into Leeds to go home. Do you watch Emmerdale? Have you been to the Emmerdale Studio Experience? Let me know down below! I hope that you have enjoyed this tour based blog post and I hope to see you next time for another blog post! This blog post has been in return for a product or service. All views, opinions and ramblings are my own.